The Mosquito and Vector Disease Control program protects Montgomery County from mosquito-borne diseases. Through regular trapping and species identification, the local mosquito population is monitored, tested, and controlled. Replace your outdoor lights with yellow “bug” lights which tend to attract less mosquitoes than ordinary lights. The yellow lights are NOT repellents, however. While lifespan varies among different types of mosquitoes, most only live for about 2 weeks. Female mosquitoes need to ingest blood so that they can lay their eggs. Male mosquitoes do not feed on blood at all. What makes mosquitoes bite me? It’s true that mosquitoes are more attracted to some people than others, but scientists are still unsure why. We do know that mosquitoes are attracted to a number of things, such as carbon dioxide, moisture, lactic acid, and heat. What can I do to reduce mosquito bites? The best way to reduce mosquito bites is to reduce standing water in your area. Look for any place that can collect and hold water for 4 or more days — clogged rain gutters, old tires, unused swimming pools or bird baths, depressions in tarp covers, bilge water in boats, flower pots, garbage cans or lids, discarded cans, wheelbarrows, or ditches. Apart from reducing stagnant water, try to avoid being outside at dawn and dusk — this is when mosquitoes are most active. Dress in light, loose-fitting clothing, and turn on a fan to circulate the air. Also, citronella candles, and other candles that produce smoke, will help repel mosquitoes. What diseases are transmitted by mosquitoes? Because mosquitoes take blood from different hosts, it is possible for them to transmit diseases. That is why our Mosquito Control team routinely captures and tests mosquitoes in the area for infection. 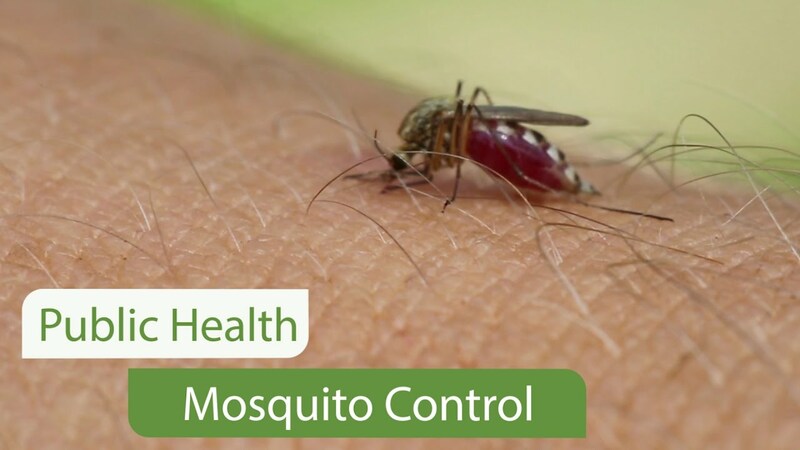 Some diseases, such as malaria, encephalitis, yellow fever, and West Nile Virus, can be transmitted from human to human by mosquito bites. Other diseases — most notably HIV — cannot survive inside a mosquito, and cannot be transmitted. When we discover infected mosquitoes, we do everything in our power to contain the threat as quickly as possible. Please contact Public Health with your questions or concerns.